Paintings Now For Sale At Local Boutique! 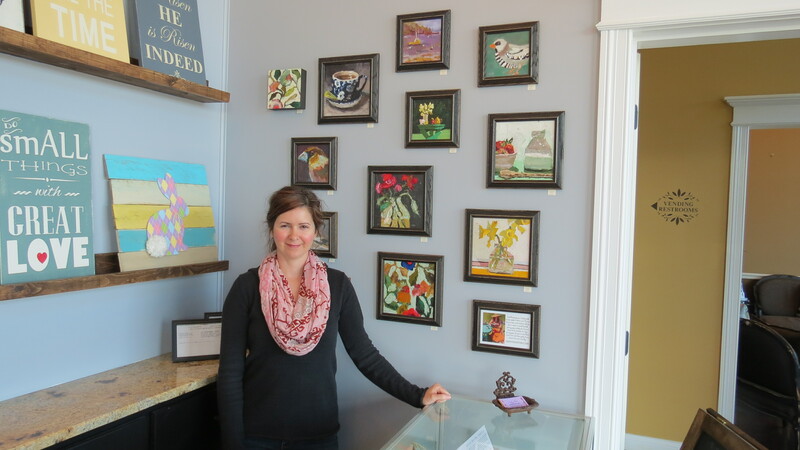 For those in Nashville, you can now purchase my art in a little shop in Glenbrook shopping center in Hendersonville! 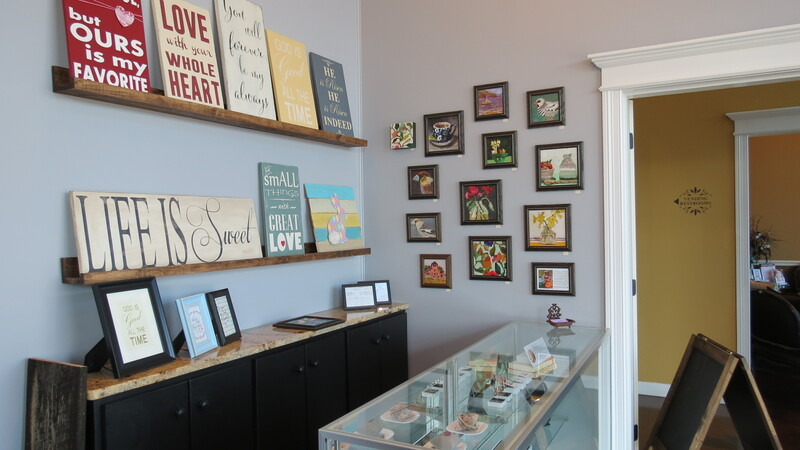 My art is in an unlikely place – it’s in a hair salon’s gift shop. BUT it’s not just your standard salon gift shop – the new owner’s of Rodelle’s Salon (soon to be called Colour Salon Suites – how appropriate is that for my art?!) 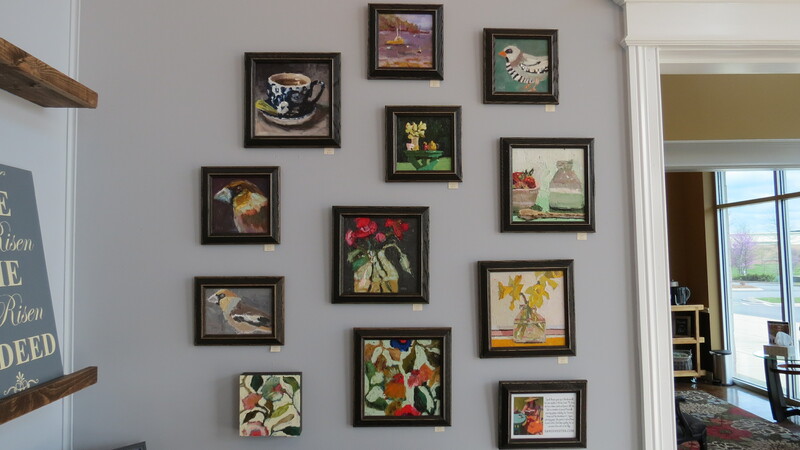 have transformed the boutique into a beautiful space that has handmade items for sale all from Tennessee. They have soaps, candles, jewelry, lip balm, ect. and ART! I will be changing out the paintings regularly and my goal is to post the new paintings so you can see what’s available for purchase. There are a couple of other paintings up now on the wall other than these in the picture. Below are a handful of the paintings up close – click on any of them to see more detail. For those that have wanted more access to my art I hope you will stop by the boutique! No regular visits to Hendersonville without regular visits with me:-)! Your paintings….and you….look absolutely beautiful!! Thank you Susan! Miss you friend!